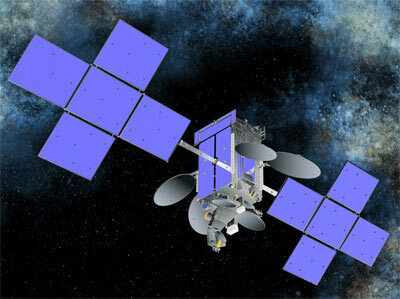 The ABS-2 is a communications satellite ordered in October 2010 by Asia Broadcast Satellite from Space Systems/Loral (SS/L). SS/L was already selected as the builder in June 2009. The spacecraft separated mass is in excess of 6,000 kg at launch and offers a design life exceeding 15 years. The satellite was built by Space Systems Loral using the SSL-1300 platform, fitted with 78 C-, Ku- and Ka-band payloads and has more than four times the existing capacity of ABS-1. ABS-2 is located at the 75 degrees East Longitude, ABS' prime orbital location where ABS-1, ABS-1A, and ABS-1B are currently located ABS-2 offers a wide range of services for Asia, Russia, Africa, and the Middle East, including DTH, cable TV distribution, multimedia applications, as well as data networks and telecommunications services. The ABS-2 satellite is a significant addition to the existing 44 transponders on the ABS-1 satellite, which still has more than 14 years of fuel life remaining. ABS-2 provides expansion capacity to existing ABS-1 customers and acts as in-orbit spare and provide backup for the ABS-1 transponders. Singapore Telecommunications has signed a transponder purchase agreement with satellite operator Asia Broadcast Satellite Limited (ABS). With this agreement, SingTel owns multiple C-band transponders on the ABS-2 satellite at a cost of approximately S$80 million over the next two years. SingTel markets these transponders to corporate customers under the brand ST-3/ABS-2. Capacity used by KT Telecom is referred as Koreasat 8.